Dark fermentation, also known as acidogenesis, involves the transformation of a wide range of organic substrates into a mixture of products, e.g., acetic acid, butyric acid, and hydrogen. This bioprocess occurs in the absence of oxygen and light. The ability to synthesize hydrogen, by dark fermentation, has raised its scientific attention. Hydrogen is a nonpolluting energy carrier molecule. However, for energy generation, there are a variety of other sustainable, and less expensive, alternatives to biohydrogen energy, e.g., solar, wind, tide, hydroelectric, biomass incineration, or nuclear fission. Nevertheless, dark fermentation appears as an important sustainable process in another area: the synthesis of valuable chemicals, i.e., an alternative to petrochemical refinery. Currently, acetic acid, butyric acid, and hydrogen are mostly produced by petrochemical reforming, and they serve as precursors of ubiquitous petrochemical-derived products. 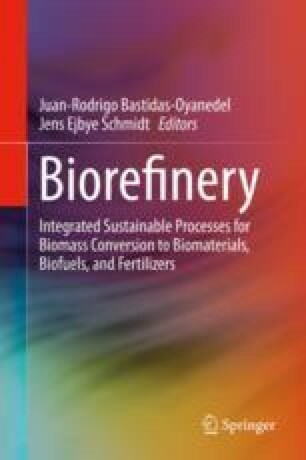 Hence, the future of dark fermentation relies as a core bioprocess in the biorefinery concept. The present article aims to present and discuss the current and future status of dark fermentation in the biorefinery concept. The first half of the article presents the metabolic pathways, product yields and its technological importance, microorganisms responsible for mixed dark fermentation, and operational parameters, e.g., substrates, pH, temperature, and headspace composition, which affect dark fermentation. The minimal selling price of dark fermentation products is also presented in this section. The second half discusses the perspectives and future of dark fermentation as a core bioprocess. The relationship of dark fermentation with other (bio)processes, e.g., liquid fuels and fine chemicals, algae cultivation, biomethane-biohythane-biosyngas production, and syngas fermentation, is then explored.